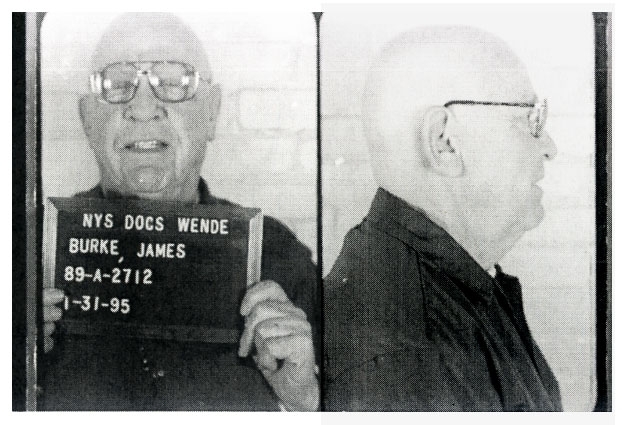 James 'Jimmy the Gent' Burke, the Mafia associate portrayed by Robert De Niro in the film 'Goodfellas,' posed for this New York State Department of Correctional Services mug shot in January 1995. Burke, credited with organizing the 1978 Lufthansa heist at JFK airport, was imprisoned for the murder of a drug dealer when he was diagnosed with lung cancer. Burke died from the disease in April 1996 at age 64. Submitted by GeorgeDubyaBush on Wed, 2010-09-29 21:20. This guy is beast. A true Gangster.